The L-Tron team & OSCR are headed to the 17th Annual PA State Police Reconstruction Seminar. This annual event is being held for the first time in historic Gettysburg, PA. The PSP Reconstruction Seminar is unique because it is offered at no cost to Law Enforcement officials and traffic reconstructionists. Seating is limited to the first 450 Officers to sign up. This year’s conference will run from October 31st through November 2nd. L-Tron is proud that OSCR360 will be used to document some of the crash demos at the PSP Reconstruction Seminar. The OSCR equipment is designed to capture, preserve, and present a fair and accurate representation of a crash or crime scene. The OSCR360 equipment is made in the US, is cost-effective, and does not require training. 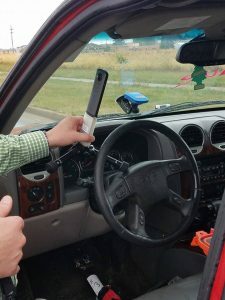 OSCR is successfully being used in murder cases and was used in the high-profile Rideout Murder Trial during closing arguments, assisting in the conviction of 3 suspects. OSCR recently traveled to the IATAI Reconstruction Conference and was used in several crash demos. 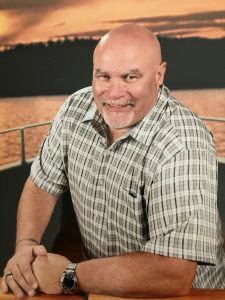 Sergeant Chuck Grasso retired after over 27 years Law Enforcement experience graduating from the Connecticut Police Academy and the Institute of Police Technology and Management at the University of North Florida. Sergeant Grasso began his career in 1986 with the Ellington Connecticut Police Department working as a Patrol Officer, then moved to the Town of Enfield, Connecticut retiring as a Police Sergeant, Accident Reconstructionist and Regional Traffic Reconstruction Team Commander in 2013. 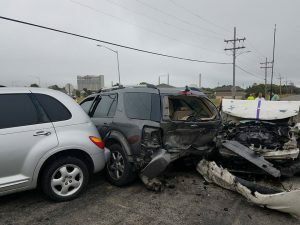 Sergeant Grasso is a court deemed expert in several different specialized areas of motor vehicle collision reconstruction. Sergeant Grasso served on the ANSI D-16 panel and is currently a Certified Police Academy Instructor in the areas of Collision Investigation and Traffic Enforcement. He will be using OSCR360 to document some of the crash demos at the PSP Reconstruction Seminar. Stop by the L-Tron booth to say hello!